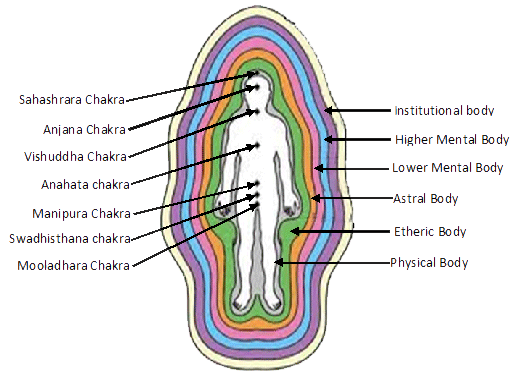 The holistic body is integration of auric and chakral bodies with physical body. They are subtle and deeply associated with each other. The diagramatic representation is given in this picture. To understand the situation in a clear and rational way. Pleasant interaction with family and friends. Commitment to speak and follow the truth. Connection with divinity and understanding the grater universal pattern.